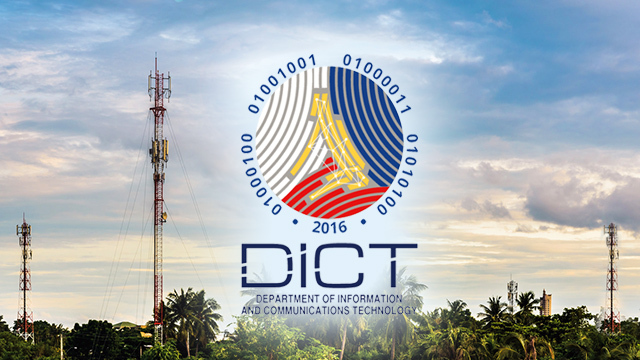 The government will choose the new major telecommunications player in the local market based on its promised committed service in its first five years of operations, the Department of Information and Communications Technology (DICT) announced on Friday, July 20. The Highest Committed Level of Service (HCLoS) formula, which calls on bidders to propose a rollout plan in its first five years of operations, was the process long favored by DICT Acting Secretary Eliseo Rio. The other model considered by the committee was the auction mode of selection, which was supported by Department of Finance (DOF) Secretary Carlos Dominguez II. Related story: Beauty Contest of Bidding War? What's the BEst Way to Select The 3rd Telco Player? “I am happy to report that all members of the committee have been supportive of this task, of coming up with the selection process for the third telco. It was a consensus… this selection process [HCLoS formula] would really come up with the most effective telco to be able to give and improve our telco service,” Rio said in a press conference on Friday, July 20, which was broadcast on DICT’s official Facebook page. The announcement came after the oversight committee in charge of the selection of the new major player in the telecommunications industry met earlier on Friday to finally decide on the method to be used for selection process. The procedure had been repeatedly delayed due to the differing selection models proposed by different members of the committee. With this development, Rio said the new terms of reference (TOR) for the selection of the NMP may be released by the first week of August. “Around November or December, or before Christmas, we already have a new telco,” Rio said during the press conference. The DICT earlier estimated that the selection of the NMP will be done by October. If the process goes according to plan, the new telco player may start rolling out its services by February or March 2019 and be fully operational by the second half of the year. “The third telco would have gained substantial subscriber base by the end of 2019. 2020 will be the time that all of the things we are doing now will be actually felt by the people. Our people will expect faster internet speed by 2020 at a lower cost,” Rio said. The government’s selection of the HCLoS formula came weeks after an overwhelming majority of industry stakeholders and selected government agencies expressed their favor for the approach. In the last public consultation meeting, a survey of 45 participants, which included representatives from 15 telco companies that hold congressional franchises, voted they preferred the HCLoS formula, which entails lesser financial burden on the contenders for the third telco slot.